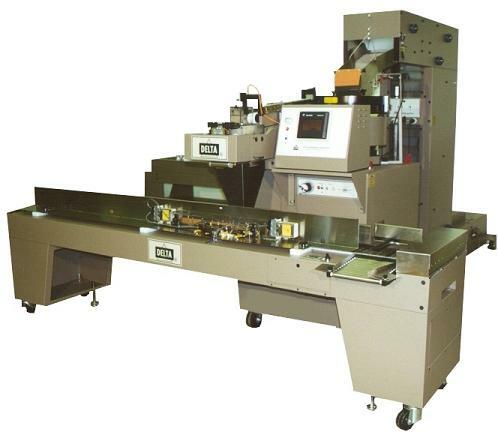 The strikingly modern and efficient design in a Delta high speed Counting System was derived from decades of experience in the Electronic Counting field. Simplicity, easy changeover, accuracy, dependability and high speed operation are the prime benefits of owning a Delta Counting System. The Mini Series of DeltaCounters are designed for handling small to medium parts and batch quantities. These systems are versatile as a semiautomatic packaging station plus readily tie-in with bag forming machines or box handling conveyors. 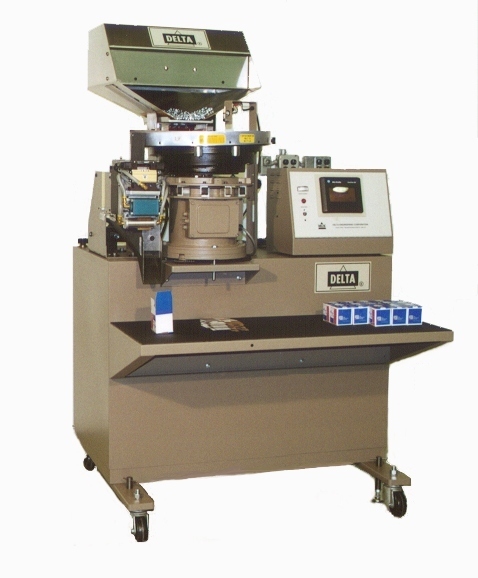 The Delta Universal Hi-Speed Counting Machines feature Delta's continuous feed and batching system. This produces the highest level of speed and accuracy available in the industry. Designed for batch counts that range from 5 to 200 pieces for parts that range from 1/8" to 1/2" X 4". Low-level loaders and return-style box conveyors combine for a complete material handling system.